Update 12/30/2016: It should have jumped out of me in the store before I bought it, but it didn’t. This has TEA lauryl sulfate. 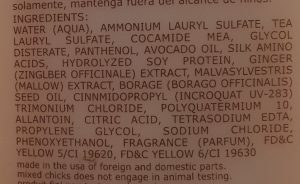 This is a drying cleanser, and that it’s so high up on the ingredients list makes me too nervous to try it. Which is too bad, because the other ingredients seemed more or less okay (though once I looked up the TEA lauryl sulfate, I stopped looking up ingredients on this one). I still have another bottle of Mixed Chicks (sulfate free) shampoo to look up. Another couple of their cleansing ingredients on that other bottle of shampoo (the sulfate free version) is questionable as well, but I’m going to do a bit more digging before I decide to try it or not recommend it. But for this shampoo, it’s a no go. 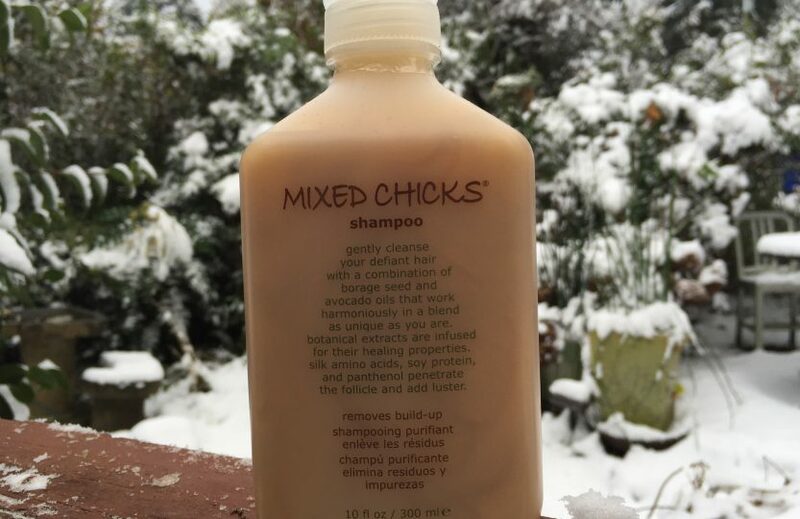 Original Post 12/13/2016: I found this other bottle of Mixed Chicks shampoo at that same magical Rite Aid in Louisville, and this one also, on first glance, looked good to explore further. It has sodium chloride, which I won’t use in a conditioner I use for combing and leaving in, but in a shampoo it’s okay since it’s rinsed out. Though I’m not thrilled to see it, it isn’t a deal breaker. I got a bunch of products there at that Rite Aid, so I’ll be working through them all. But I at least wanted to make a note that I have this product, and should be reviewing it soon along with the other Mixed Chicks shampoo. © 2019 Tightly Curly Product Recommendations. All rights reserved.